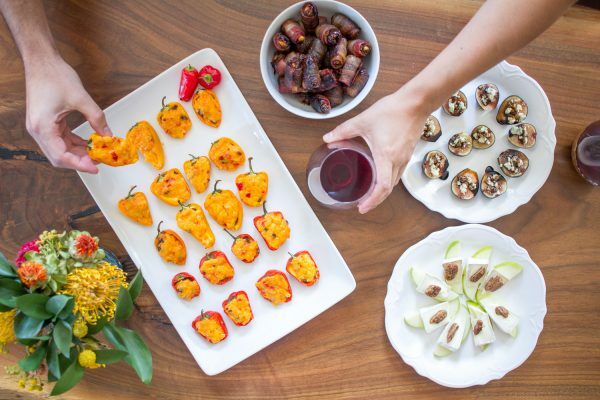 This easy to prepare appetizer will be a big hit at your next party. 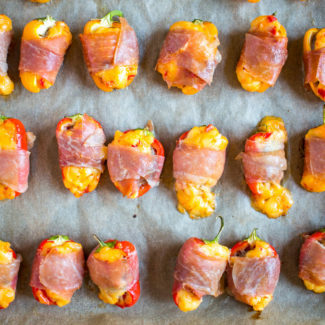 Sweet peppers are my favorite appetizer ingredient. Just cut them in half and fill them with just about anything and bake! 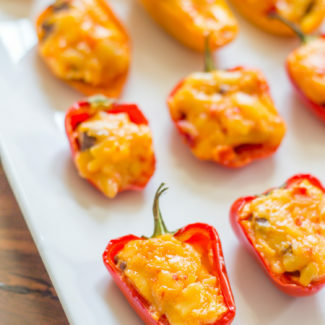 Most recently I made Chorizo and Pimento Cheese Stuffed Sweet Peppers for my pre-Thanksgiving party. 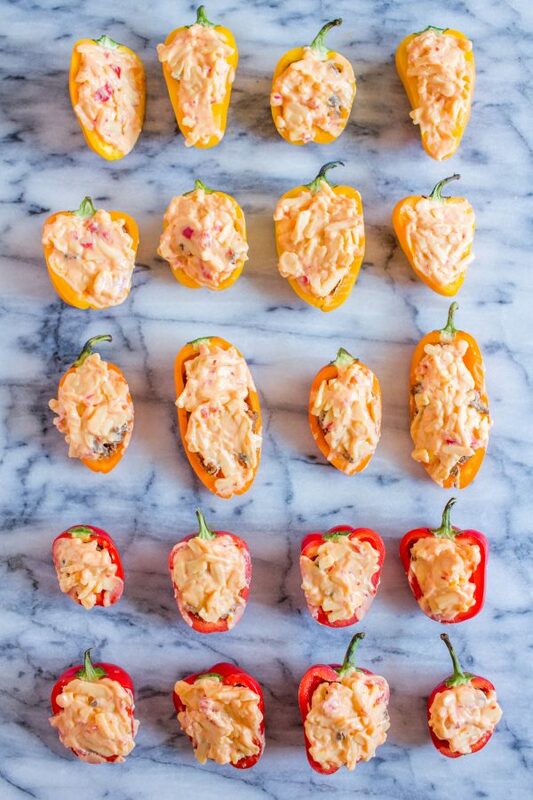 This year I wanted to share globally inspired recipes, and for this appetizer I decided to combine Spanish chorizo with pimento cheese. It’s a slightly unexpected pairing that tastes great. It isn’t a recipe from a specific place, instead it is a recipe that combines two classic foods from two very different places. It is a fun take on what a global recipe is. If you aren’t familiar with pimento cheese, it is a Southern style cheese that is made by blending cheese, mayonnaise, and pimento peppers. It is creamy, slightly spicy, and a little bit tangy. It is delicious simply served with crackers, and it can be used as an ingredient in a wide variety of recipes. 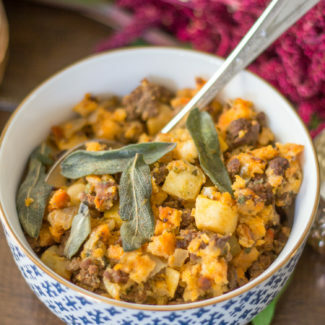 I also included Chorizo and Sage Stuffing on my Thanksgiving menu, and to save time I cooked all of the chorizo at once. 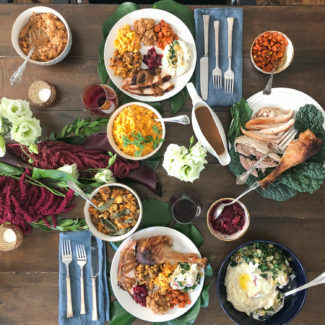 Preparing Thanksgiving dinner is so much work, you should take advantage of every possible way to save yourself time and effort. I was serving a lot of food at my party, so I didn’t make too many of these stuffed peppers. 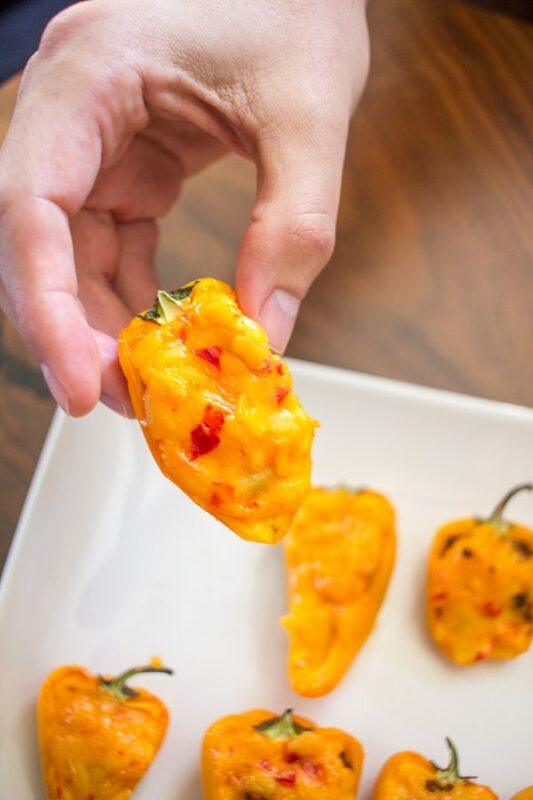 The proportions below will make about 20 peppers, but you could easily double the recipe. 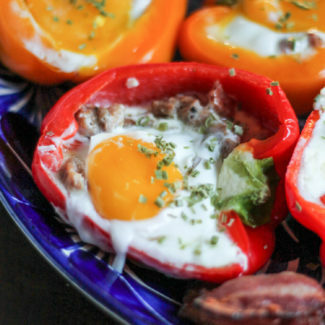 If you want to add some extra meatiness to the dish you could wrap the stuffed peppers with prosciutto. I was able to buy ground chorizo meat, but you can use chorizo sausages with the meat removed from the casings and crumbled up. 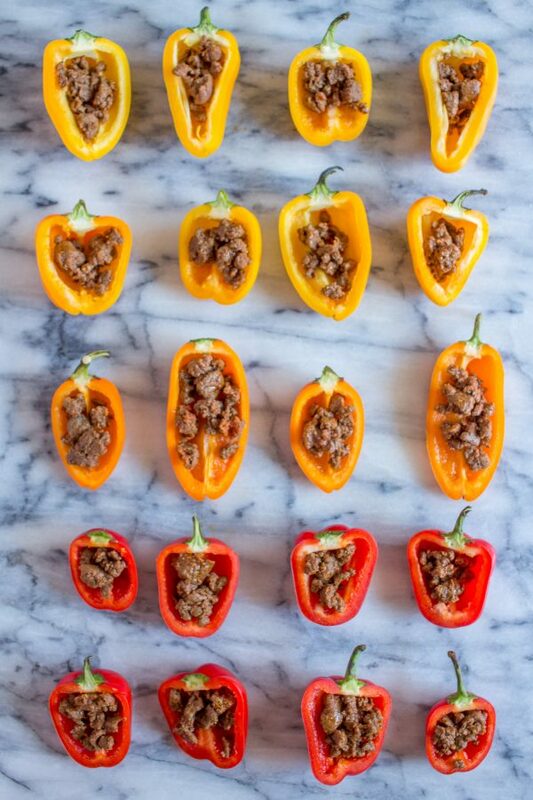 If you wanted to transform this appetizer into a complete meal you can use bell peppers instead of sweet peppers. 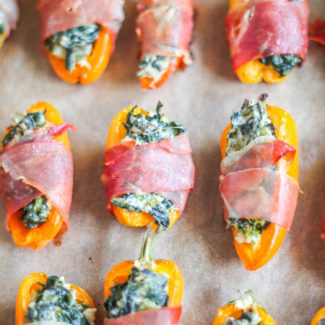 If you want to try even more sweet pepper recipes, try Sweet Peppers Stuffed with Cheesy Spinach Dip and Wrapped with Prosciutto or Cheeseburger Stuffed Sweet Peppers. 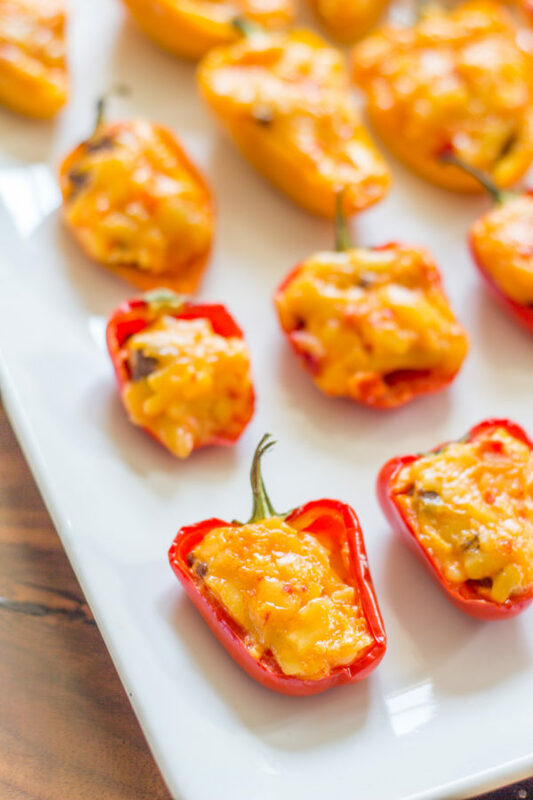 Sweet peppers filled with chorizo and pimento cheese are a delicious and easy to prepare appetizer to serve at your next party! Heat your oven to 350 degrees. Slice the sweet peppers in half and remove the seeds. Set aside. Heat a skillet over medium heat. Add the chorizo, and cook until it has browned, using a wooden spoon to break up the meat as it cooks. Next individually fill each pepper. First fill them half way with the chorizo, and then add pimento cheese on top. 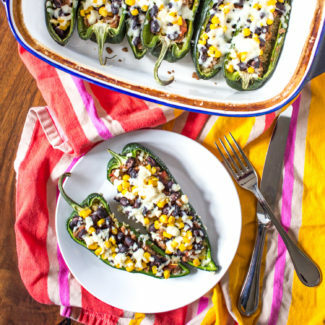 Fill all of the peppers and then place them on a parchment lined baking sheet.